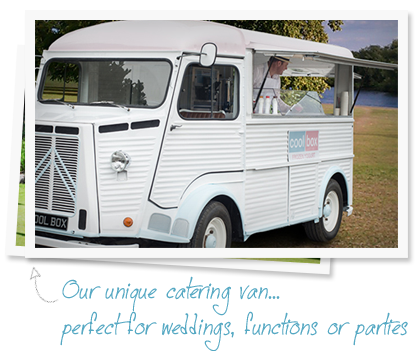 At coolbox we have a unique mobile catering van, serving frozen yoghurt for events requiring outdoor catering such as; weddings, private parties, sporting events, corporate functions, festivals and local fairs. We are based in North West Cheshire. Our aim at coolbox is to offer our customers a healthier fat-free alternative to ice cream that is competitively priced and served by our reliable, professional and friendly team. Frozen yoghurt is less calorific than ice cream and is naturally fat-free and full of probiotics, which are good for the immune system & digestion. To compliment our frozen yoghurt we have a variety of seasonal fresh fruit and indulgent toppings and fresh coffee for the coffee lover. We have added to our menu this year delicious thick Milkshakes and all fruit Smoothies, the milkshakes we use only the finest of ingredients blended with frozen yoghurt or real dairy ice cream plus fresh milk we do a variety of tempting flavours. Our super healthy smoothies are made from grade ‘A’ fruit blended with fresh mango & apple juice (no added ice).